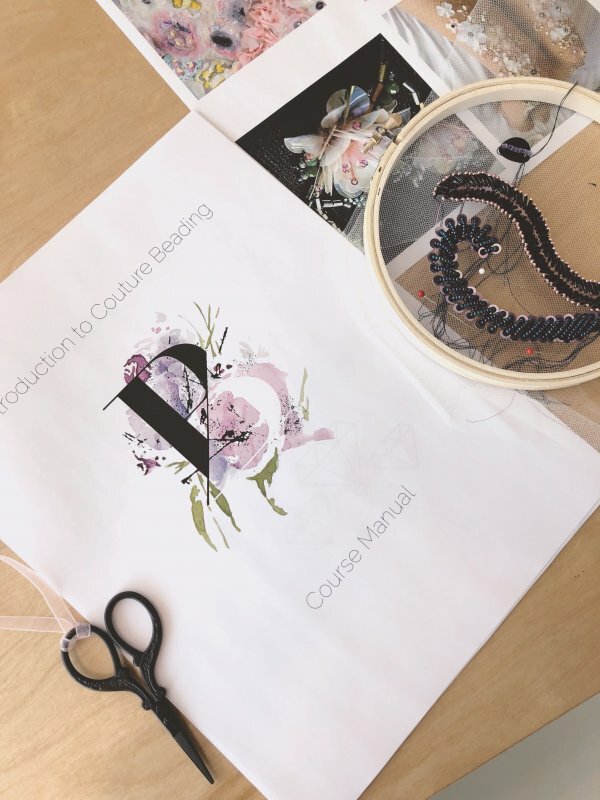 The first in the series of workshops I offer is Intro to Couture Beading. 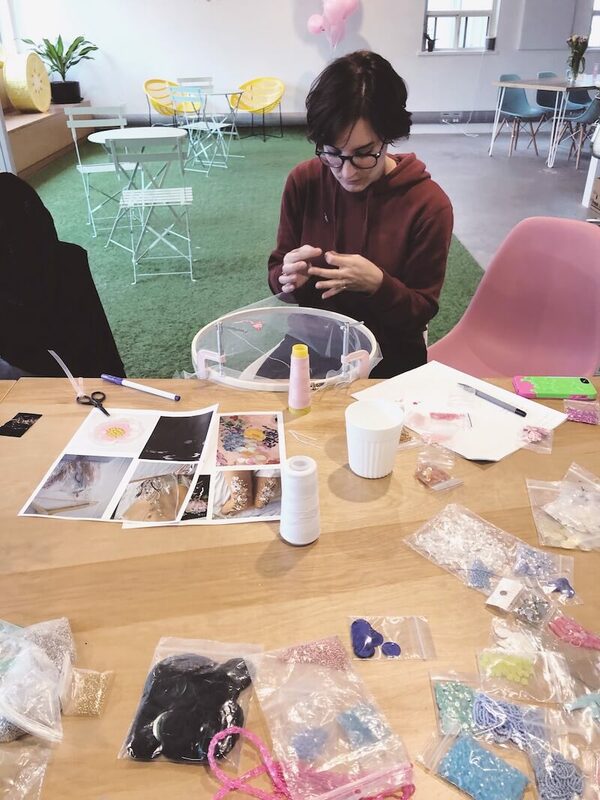 In this class, I introduce you to the foundation of couture beading materials and techniques. Students are given the same materials and tools I use in my business and art pieces. I share my tips and secret techniques developed and honed over 15 years in the industry. We begin with the process of setting up your frame, basic chain stitch, adding beads to the chain stitch and adding sequins to the chain stitch. Each student creates a tulle-backed frond/feather motif and sequin flower appliqué. Each student is also given access to companion videos that go over all techniques taught in class, as well as bonus videos for future projects, including little extra tricks for creating 3D effects with beads and sequins. 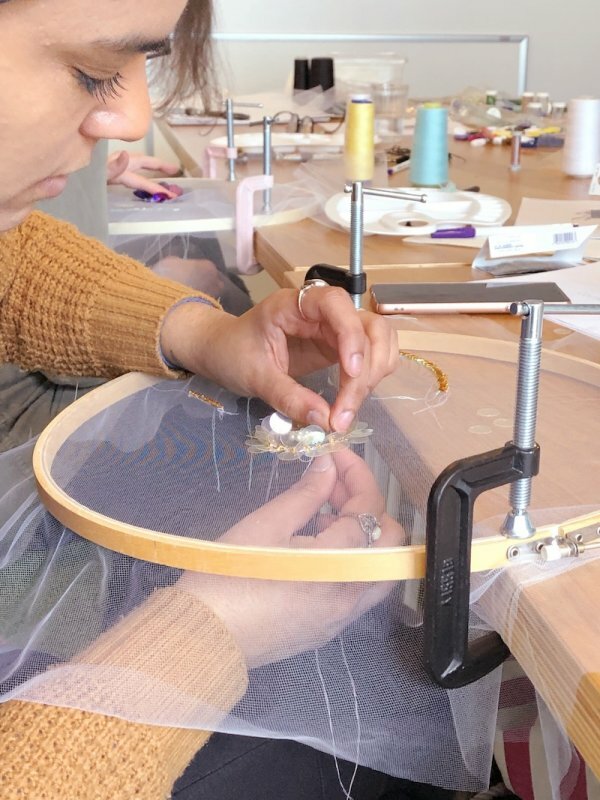 While no one will become an expert in beading in five hours, the course sets students up with the techniques and confidence to develop their skills outside of the classroom. Plus we lunch on amazing General Assembly pizza! Open to all skill levels. No prior knowledge of sewing required. 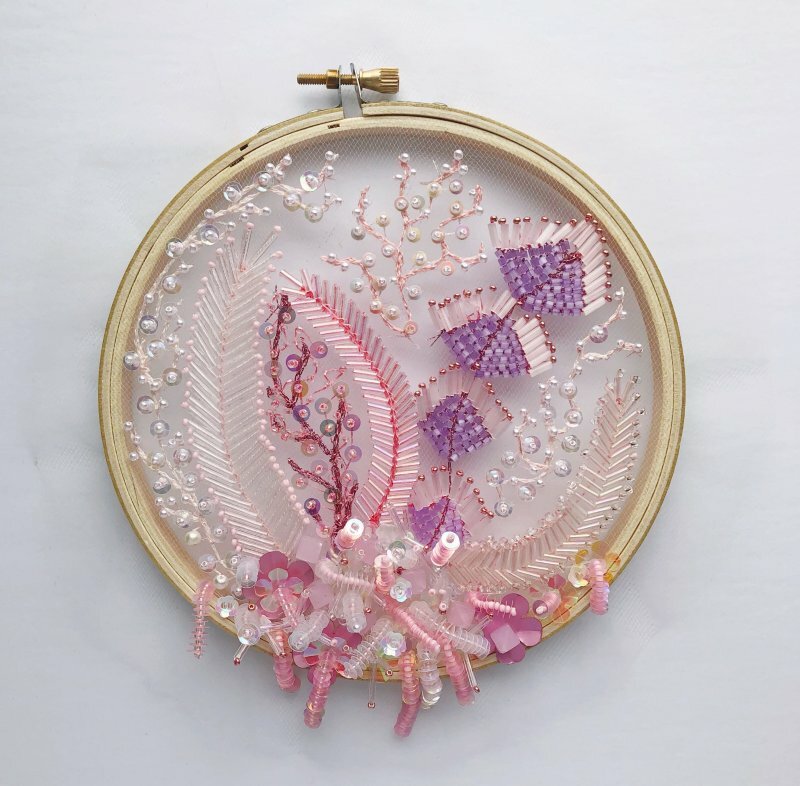 From total noobs who just want to learn a new craft to established designers looking to add another skill to their repertoire – this class teaches the basics for creating professional-looking embellishments. Begins at 12pm, and runs through until 5pm at Make Lemonade, 326 Adelaide Street West, 6th floor. Students encouraged to show up ten minutes early to get settled at their stations. 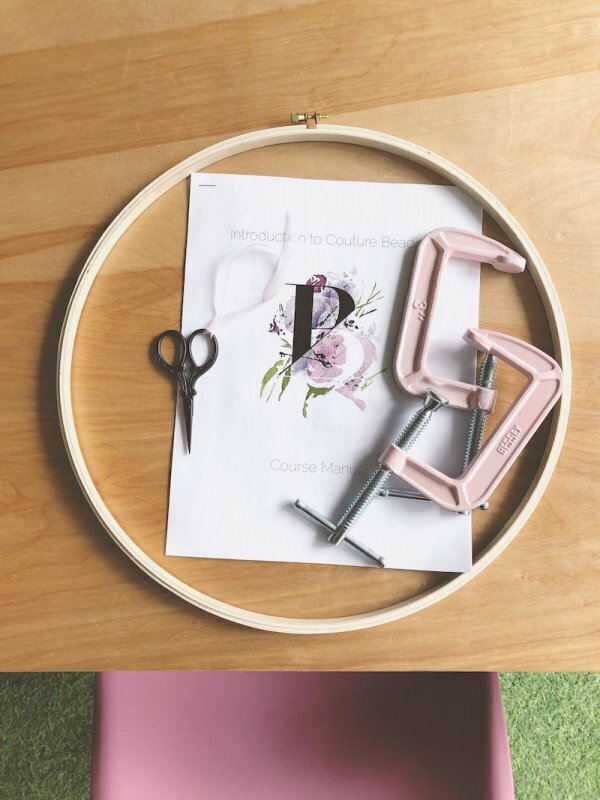 My training and education includes Hand&Lock, Central Saint Martins and City&Guilds, as well as beading for designers like Shirley Geek. I am in my ninth year running my eponymous fashion label, working with my clients to create custom gowns. 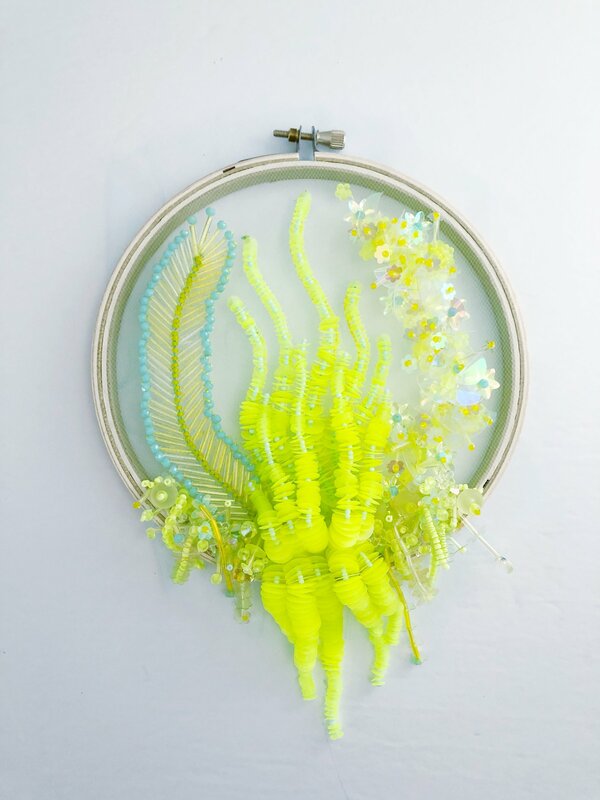 Beading and embroidery are my favourite part of my job, and an art I want to encourage and help foster in Toronto. 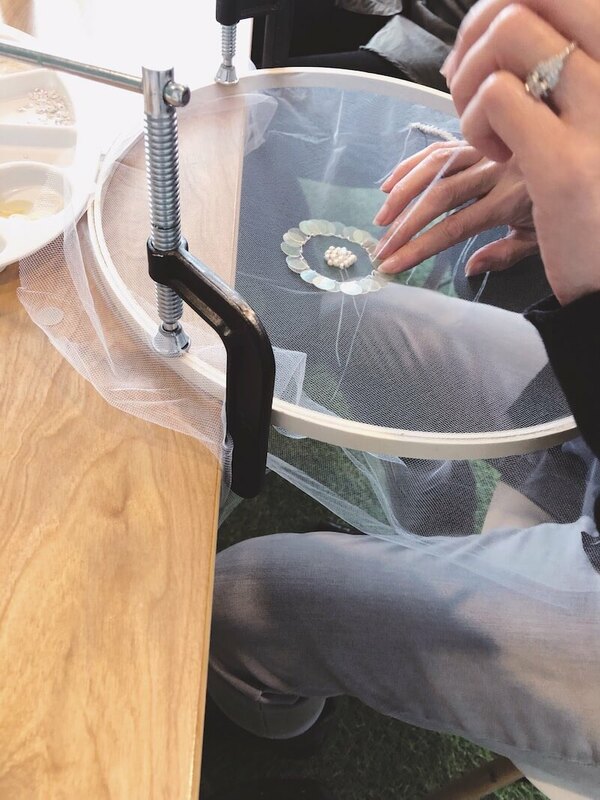 From hobbyists to designers, I have designed this workshop to provide a solid foundation to teach the basic skills of hand-beading, as well as approaching creating personal designs, so that each student walks away with the tools and knowledge to develop their own style.